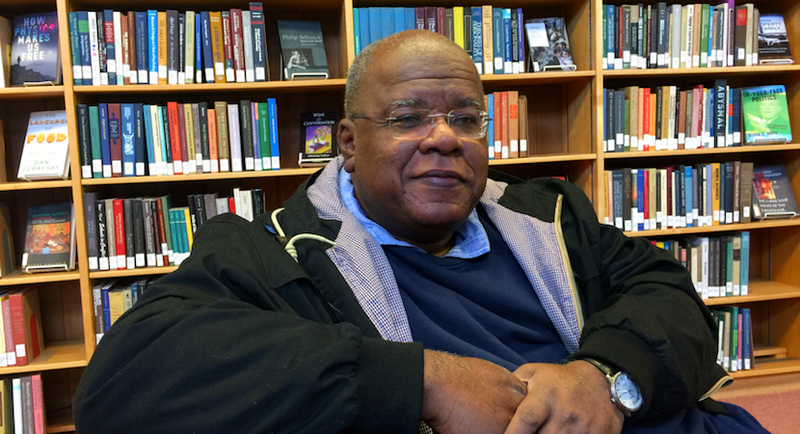 We are, as a country and a nation, indebted to Jonathan Jansen for his new book, which, with typical academic rigour and research looks at the causes, the costs and the consequences of the attack by the RMF protestors on our universities. Within days of its publication its dramatic impact became obvious when Dr Iqbal Survé accused Jansen of lacking integrity and The Times newspaper responded with an editorial. Is Survé’s claim about Jansen lacking integrity not ironic coming from a man who, by his own admission and on the record, seems to have acknowledged that he was a conduit who enabled Brett Kebble to use his stolen money to buy political influence, sought to partner with the Guptas, made a range of claims that subsequently proved to be devoid of truth and promised to use his ‘billions’ to destroy the reputation and future employment prospects of a distinguished editor ? 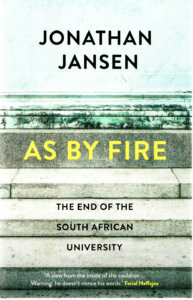 That aside, Jansen’s book provides a sobering assessment of the media’s role in the Fallist protests. The protests, fuelled by ethnic hatred, saw a man die, another beaten to a bloody pulp and a third critically injured at UCT when a rock was dropped on his head from an upper floor of a building, an attempt to burn security guards to death, university staff and reporters assaulted, countrywide arson which saw the Sanlam Auditorium and libraries set alight, computer laboratories flooded, pervasive looting, destruction of private property, the memories of those who died in battle desecrated and the studies of tens of thousands of students disrupted. This has resulted in significant reputational damage to the country and harmed our ability to attract the brightest and best of foreign students. What received only ﬂeeting attention in the media was the angry and violent turn the student protests took near the end of 2015 and in the course of the 2016 academic year. This is not to say that 2015 was completely non-violent and that protests ‘suddenly’ became violent. What was different was the sheer ubiquity of violence, its deadly intensity, and the accumulating costs — amounting to millions of rands — in damage to university property. Petrol bombs were found in ofﬁces and residences on campuses. Buildings and vehicles were torched. A vice-chancellor’s office was petrol-bombed. A staff member was held hostage. A worker died. The social media were loaded with racist and violent postings against other students, staff, university leaders, opposition parties, and, of course, the government. Firm statements were made against those who dared to continue classes, with threats of disruption, violence, and worse. It was lewd, crude, and personal. Lies and distortions mixed freely with what was accurate and true. An activist declared himself to be taken hostage only to be exposed as a liar. What went unreported was the protestors constant provocation of campus security and their unfounded allegations of being threatened with sexual assault by armed guards; this catastrophising the crisis at its best. There was another narrative that the students sold to the media and the public: the protests were peaceful until campus security was expanded. This, of course, was an open-faced lie. Protestors had been dragging students from classes, attacking and insulting non-protestors, threatening lecturers in their classrooms, launching water bottles at vice-chancellors, and burning buildings. It was only then, and under duress, that university leaders called for reinforcements to protect life and property on their campuses. But in the student account, happily parroted by the media, it was security that instigated the violence. To vice-chancellors on site, it was a media battle they were losing no matter what was said, and what took the media control out of their hands was the new platform called social media. 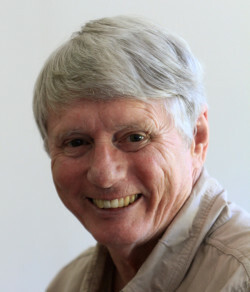 Ed Herbst is a retired veteran journalist who writes in his own capacity.